We are well-known manufacturer engaged in offering Matta Rice. It is a unique cereal having high content of nutrients and is indispensable for those who do hard physical work. It is also rich in fibre. 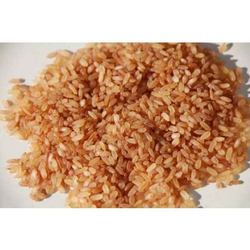 The offered rice grains are yellowish pink from being parboiled with the reddish out layers. It is popular in Kerala and Sri Lanka where it is used on a regular basis for idlis, appams and plain rice. Looking for Matta Rice ?